Is there really a planner that can make us – happy? We have project applications, to-do list programs, a plethora of sticky notes, and Siri. Life should be easier with all these tools, yet we still struggle to keep our work and home-life projects in check. If you are an organized person, it is frustrating when a system isn’t seamless. So if there is a planner that can make life easier than I know I would be happy! Many people, like me, manage their schedule and tasks from their computers because with the cloud, it makes information available from any device – fast. Tools like Evernote are a dream come true, yet I still want a pen and paper to take my notes, plan, and brainstorm. I believe there are cognitive benefits, as this article outlines, and I notice it in my productivity and drive. Being hybrid though does make life complicated. Using our computers for keeping our schedule, and also carrying a planner with a calendar can cause a lot of mix ups. So, I am cautious not to use my planner for scheduling. I use the monthly calendar only to keep a visual check on what I am doing. Along with the monthly calendar, I carry a separate notebook to jot ideas, plan, and remind myself to do things. Most planners on the market have never allowed me to combine a calendar and keep my notes in an organized fashion. Until I came across the Happy Planner. Yes, it does live up to its name. 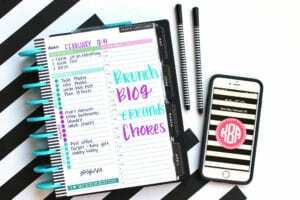 Being organized makes me – happy! It is product created by MAMBI, and you can purchase it at Michaels or Amazon. 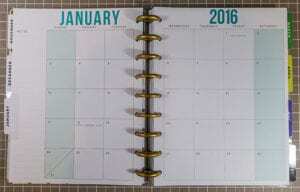 It has a monthly calendar and a weekly view similar to many planners. But, what makes this planner special is that it is completely customizable and has add-on accessories to suite your needs. It was the answer to my need for an idea-capture system that will allow me to move things around to my heart’s content, and will complement my digital applications. It didn’t take me long, and I figured out a system that will keep my lists organized like never before. I need to underscore that there is no right or wrong way to use it. If you are a crafty creative person, you will enjoy the many ways it will let you express yourself. Mine will be a disappointment in that regard because I will not be decorating mine. For me, it is all about function. It uses disk binding rather than coil binding, so I can add or remove paper without damaging the pages. The disk binding allows me to bend the book in half like a coil system, making it is easy to take notes from my lap or desk. The planner keeps a uniform shape. Not like a binder, where it is often lopsided and doesn’t nest well. I can make my own note paper using the 9-hole punch. They have extension packs so you can focus on niche areas like budgeting, fitness, household, recipes, and wedding planning. Plus many other add-ons to make organizing easier. Check out them out. I use it with my digital calendar. My digital calendar is my primary calendar and where I book appointments from. I use the paper calendar only to get an overview of my busy life. I also record maybe events in my paper calendar as an FYI. Though I am not attending, it reminds me of what is happening when and I can change my mind if my schedule changes. Since I use a digital calendar, I have repurposed this section for meal and grocery planning. 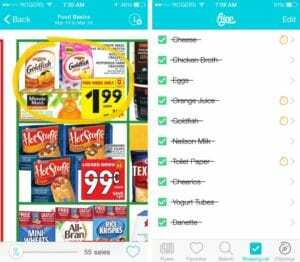 Once I have the meals and ingredients written out, I transfer the items into the amazing Flipp App I use on my SmartPhone. The Happy Planner complements my digital system. Transferring my list to Flipp, shows me what grocery stores are offering the best deals for the items on my list. It is in a checklist format, making it easy to cross items off as I put items in the cart. Since Flipp is on a cloud, both my husband and I have access to the same list on our phones. That makes me happy! I am a notetaker and mind mapper. I love that I can add my own note pages to the Happy Planner in an order that makes sense. I can also remove note pages without ruining the book. 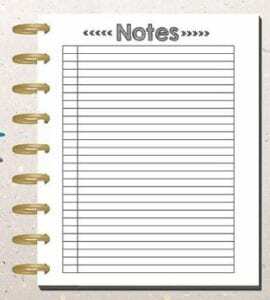 I can also use the 9-hole punch to make my own note paper, or I can purchase MAMBI’s paper. I will use these ½ pages for my many lists. Because I have a 9-hole punch I can colour code my lists to keep them visually separate. When they are no longer relevant, I can remove them from the disks without disrupting the system. Other ways to organize lists could be alphabetically or by priority. Although projects have their own set of tasks, they are often executed concurrently with other project tasks. The daily planning sheets will help bring focus and pull out the key tasks from all my project lists. Here is a quick video to showing how I have set up my no-frills, but functional Happy Planner. I am looking very serious in the video… but really I am happy. Here is another person showing a much more decorative approach. For some people, this will make them happy! 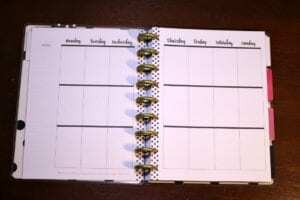 So maybe you like the Happy Planner for its functionality, but it does not have the executive look and feel you want? Well there is a similar planner that will keep you down to business. 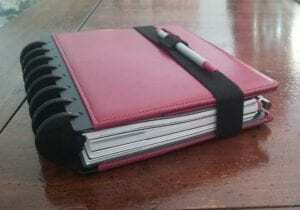 Check out the ARC customizable notebook. 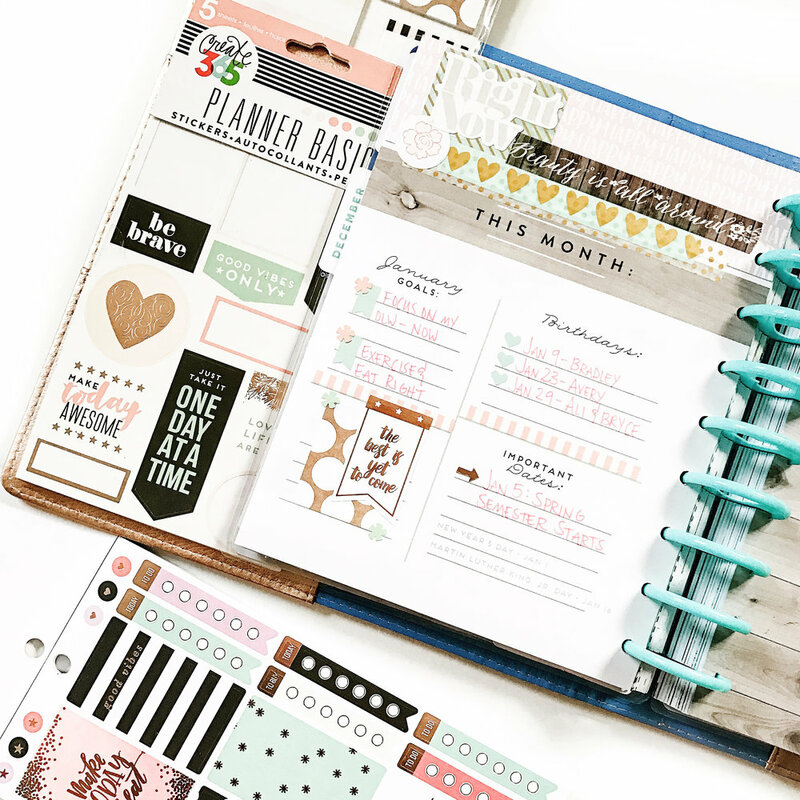 This planner is for professionals and has the same disk binding system and add-on accessories so you can make it work for you. But before heading to Michaels or Staples to buy either the ARC or Happy Planner, investigate a few others. Here is an article that highlights a few. Take for example Danielle LaPort’s Desire Map Planner. 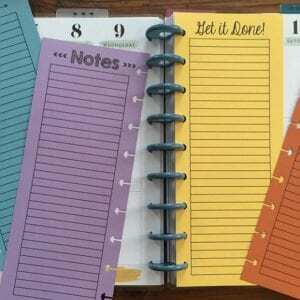 If you are seeking a planner that is like a journal, her planner may be a good fit. 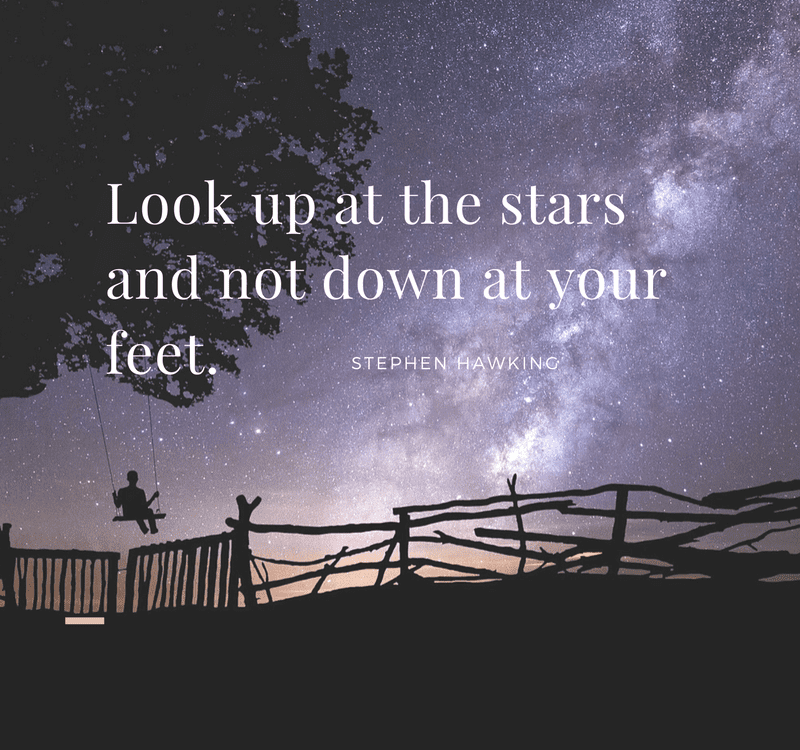 Google and YouTube search others to see what’s out there. At the end of the day you want a planner that will shape your perspective. 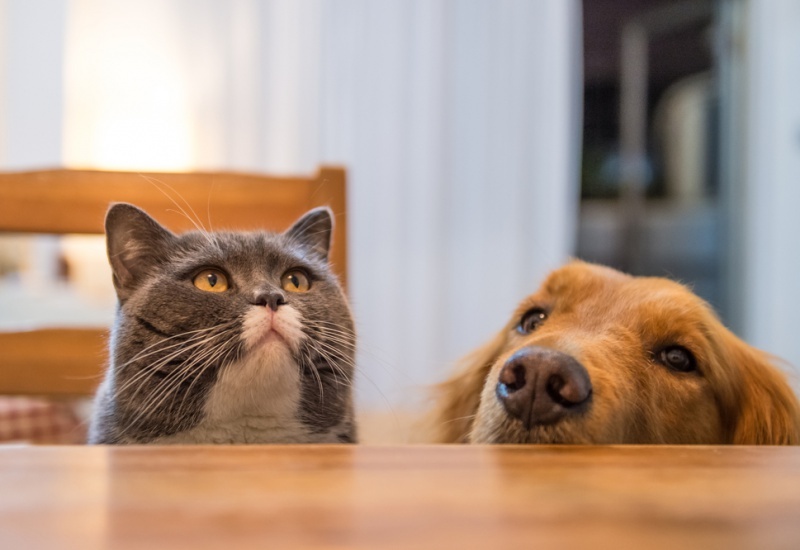 David Allan, the Getting Things Done extraordinaire, tells us “the greatest power we have is our ability to change how we see things.” What ever planner you choose, my hope is that it will change your ability focus on your priorities better than before. 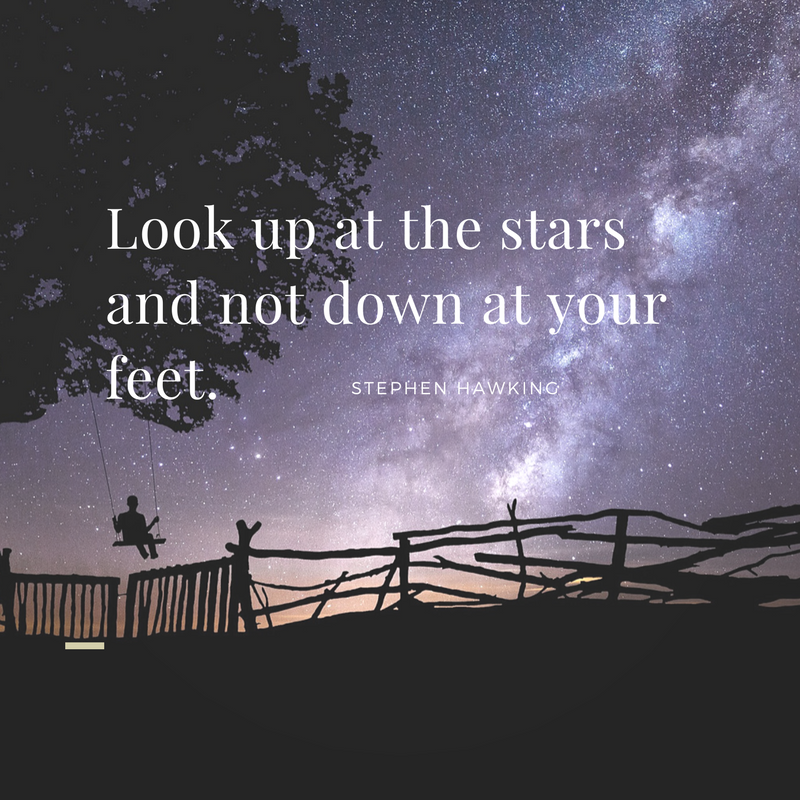 A better perspective will improve your productivity. Organize to Optimize with Melody Oshiro serves Parksville and most areas of the Regional District of Nanaimo. Are you looking for more hours in your day to focus on getting your fall set up for success? 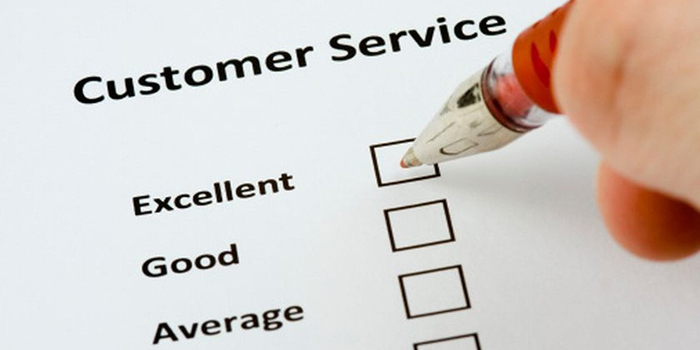 Contact Melody if you would like assistance in organizing your home or office. Check out her introductory package rates and call her for an assessment. Please note that we receive no affiliate commissions for products recommended on this site.